Hawaiian Mission Houses Historic Site and Archives (Mission Houses) collaborated with Awaiaulu Foundation to digitize, transcribe, translate and annotate over 200-letters written by 33-Chiefs. The letters, written between 1823 and 1887, are assembled from three different collections: the ABCFM Collection held by Harvard’s Houghton Library, the HEA Collection of the Hawaii Conference-United Church of Christ and the Hawaiian Mission Children’s Society. These letters provide insight into what the Ali‘i (Chiefs) were doing and thinking at the time, as well as demonstrate the close working relationship and collaboration between the aliʻi and the missionaries. In this letter, Harriet Nahi‘ena‘ena, who briefly describes her devotion to the word of God and updates Stewart about the passing of Henrietta Haletii and Kekauōnohi’s marriage to Keali‘iahonui. Nāhiʻenaʻena was the child of Kamehameha I and his most sacred wife, Keōpūolani, and was the younger sister of Liholiho and Kauikeaouli. Charles and Harriet Stewart were teachers sent to Hawaiʻi by the ABCFM with the second company of missionaries. On October 23, 1819, the Pioneer Company of American Protestant missionaries from the northeast US, led by Hiram Bingham, set sail on the Thaddeus for the Sandwich Islands (now known as Hawai‘i.) They arrived in the Islands and anchored at Kailua-Kona on April 4, 1820. One of the earliest efforts of the missionaries, who arrived in 1820, was the identification and selection of important communities (generally near ports and aliʻi residences) as “stations” for the regional church and school centers across the Hawaiian Islands. The evolution of a new and distinctive musical tradition (with harmony and choral singing). William Ellis (August 24, 1794 – 1872) applied to train as a Christian missionary for the London Missionary Society and was accepted to the school. After attending Homerton College he was ordained in 1815; later that year, he married Mary Mercy Moor (November 9, 1815.) He served the London Mission in the Society Islands, Hawaiian Islands and Madagascar. From 1816, when he first entered on his missionary career, until 1825, he devoted himself to “service of the Lord as a missionary” among the South Pacific Islands. After an initial brief visit in 1822 to Hawaiʻi, arrangement were made between the American Board of Commissions for Foreign Mission, London Missionary Society and local chiefs, Ellis returned to Hawaiʻi to join the American mission there. On April 16, 1822, the schooner Mermaid, arrived at Honolulu from Tahiti; on board were Ellis, other English missionaries and Auna and Matatore, Tahitian chiefs and teachers. After providing support for a few months to the American missionaries in the Islands, they returned to Tahiti, giving up their original plan of visiting the Marquesas Islands. About this time, Queen Mother Keōpūolani (mother of Kamehameha II and III) began to accept many western ways. She wore western clothes, she introduced western furniture into her house and she took instruction in Christianity. Tauʻā proved a faithful teacher, and he did much to establish her in the Christian faith. He answered several of her questions on the subject of Christianity. The ceremony was performed at five in the afternoon of September 16, 1823; at six o’clock the Queen was dead. The image shows the initial burial tomb for Keōpūolani; she was later reburied there in Waineʻe Church cemetery (now known as Waiola Church) in Lāhainā. He was 9-years-old when he entered the Chiefs’ Children’s School. The aliʻi wanted their children trained in Western, as well as Hawaiian traditions and Kamehameha III asked missionaries Amos and Juliette Cooke to teach the young royals. In 1849, Lot and Alexander Liholiho (his brother) began their year-long trip to the United States and Europe. When he returned he was appointed a member of the House of Nobles and began government service. Hansen’s Disease was rapidly spreading on Oʻahu. In response, the legislature passed “An Act to Prevent the Spread of Leprosy” in 1865, which King Kamehameha V approved. This law provided for setting apart land for an establishment for the isolation and seclusion of leprous persons who were thought capable of spreading the disease. The first shipment of lepers landed at Kalaupapa January 6, 1866, the beginning of segregation and banishment of lepers to the leper settlement. Bernice Pauahi was betrothed to Lot Kapuāiwa; but when Mr Charles R Bishop pressed his suit, Pauahi “smiled on him, and they were married. It was a happy marriage.” (Liliʻuokalani) Lot Kapuāiwa never married. 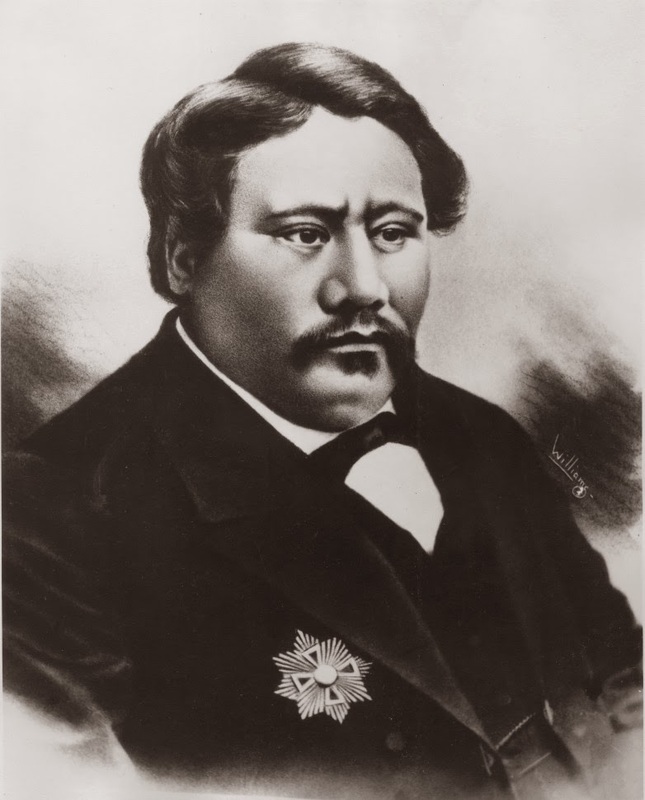 December 11, 1872, Lot Kapuāiwa died; it was his 42 birthday. The image shows Lot Kapuaiwa, Kamehameha V. In addition, I have added other images in a folder of like name in the Photos section on my Facebook and Google+ pages. Most houses at the time of Cook’s contact with the Hawaiian Islands consisted of a framework of posts, poles and slender rods – often set on a paving or low platform foundation – lashed together with a coarse twine made of beaten and twisted bark, vines, or grassy fibers. This was then covered with ti, pandanus or sugarcane leaves, or a thatch of pili grass or other appropriate material. When covered with small bundles of grass laid side by side in overlapping tiers, these structures were described as resembling haystacks. One door and frequently an additional small “air hole” provided ventilation and light, while air also passed through the thatching. Grass or palm leaves covered the raised earth floors of these houses. 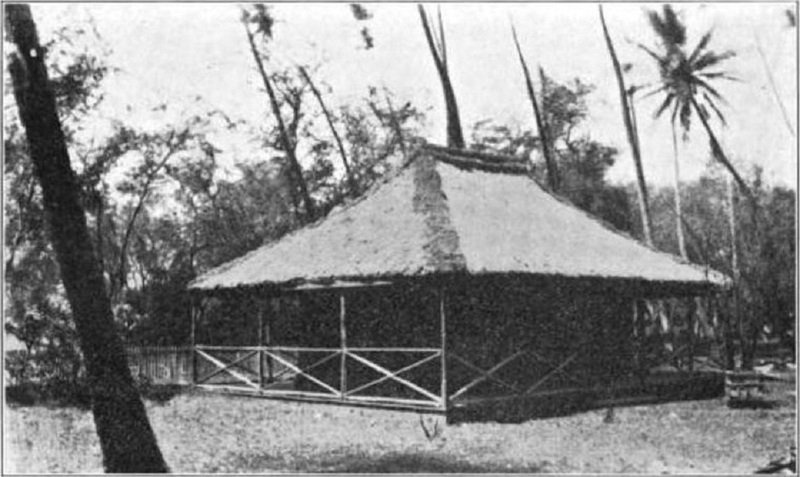 When a chief needed a house, his retainers assembled the materials and erected the structure under the direction of an individual (kahuna) expert in the art of erecting a framework and applying thatch. Many of these more modern royal residences were named – some were named after the material they were made from. Here are three such royal residences. “It has been mentioned that the lama wood was especially used for building houses of the gods, that is, the thatched houses within the enclosures of the heiau or luakini, and its use in building the house for King lot, Kamehameha V, gave an excuse for its reported use by an old kahuna in the King’s establishment, for a house of prayer, and I am assured by an old resident that prayers to the gods were frequently offered therein”. After the Kamehameha V’s death in 1872, the house and property went to went to Princess Ruth who bequeathed the property to Princess Bernice Pauahi Bishop. The Princess and her husband Charles Bishop renovated and enlarged the house with servant quarters. When Keōpūolani returned to Maui to live her final years, she had a house on the beach in Lāhainā; her daughter, Nahiʻenaʻena, lived in her own home next door – Nahiʻenaʻena called her house Hale Kamani. It had an early and convenient addition to the common grass house in a land where the people lived so generally in the open air, was the lanai, with extensions of the rafters at the same or a slightly reduced slope. This verandah was, generally speaking, the most comfortable part of the house. This lanai was often detached as in the Hale Kamani and was sometimes large with walls of coconut leaves intertwined, and a nearly flat roof of similar substance which was intended to furnish shade rather than shelter from heavy rain. At least one other Royal Residence was named after a native wood ‘Āinahau (Princess Kapi‘olani’s home in Waikīkī;) however, it was named such because it was situated in a hau grove, not that its wood was used in the structure. 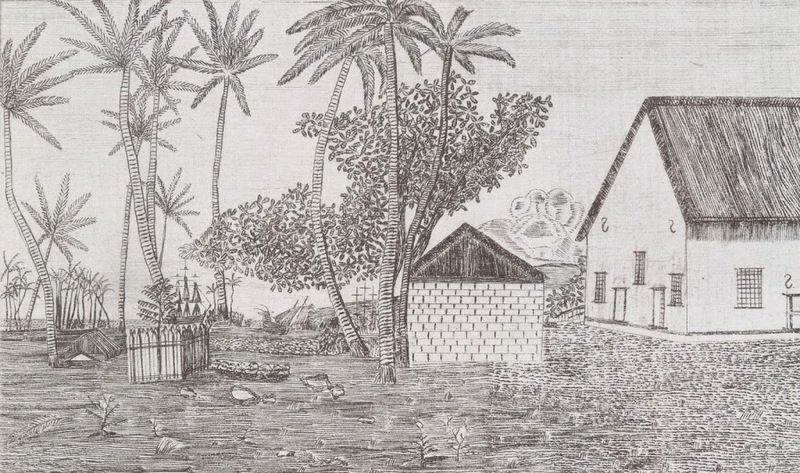 The image shows Hale Lama, Kamehameha V’s summer residence at Helumoa. In addition, I have included other wood-named royal residences in a folder of like name in the Photos section on my Facebook and Google+ pages.